How does the most popular person in the world get only 11,000 retweets? Twitter is deceiving the public and masking the president’s popularity. Then on Monday night President Trump tweeted three videos that prove that he is being shadow-banned too. 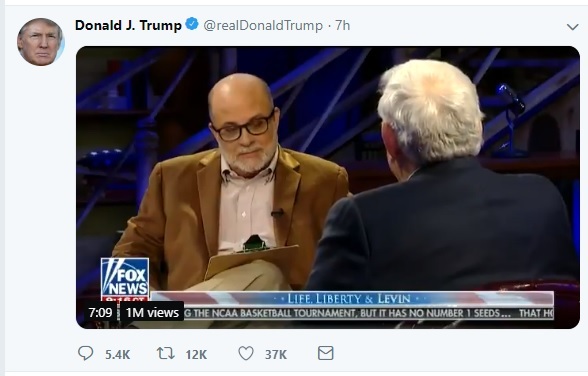 President Trump tweeted this Mark Levin video around 6 PM on Monday night. But the tweet only has 12,000 retweets. 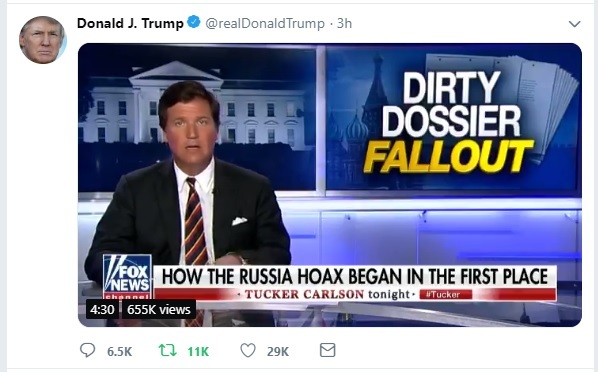 Trump tweeted out this Tucker Carlson video at around 9 PM ET. But the tweet only has 11 thousand retweets. 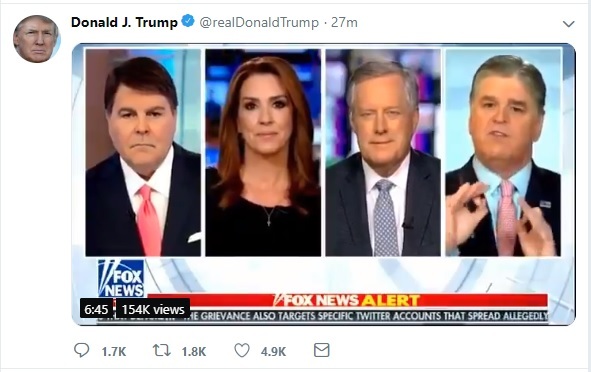 Trump then tweeted out this Hannity video at around 11 PM ET. But this tweet only has 1.8 thousand retweets. We know through studies that Twitter is targeting pro-Trump Republican lawmakers Matt Gaetz, Devin Nunes, Mark Meadows, Jim Jordan and John Ratcliffe with the same shadowbanning technique. We also know that Twitter is censoring prominent pro-Trump accounts including: Mike Cernovich, Jack Posobiec, Paul Joseph Watson, TGP’s Jim Hoft, TGP’s Cassandra Fairbanks, former TGP writer Lucian Wintrich, TGP’s Cristina Laila and Laura Loomer . Laura Loomer has since been eliminated from Twitter. It looks like he just proved us right.